Way back in 2015, the United Nations made a pact to actively reduce greenhouse gas emissions. This pact is known as the Paris Agreement and is a clear sign that cutting carbon is a top priority on a global scale. People, businesses, corporations, families, governments – we’re all responsible for looking after our world. Since the 90s, the Earth’s surface temperature has risen nearly 1°C because of increased levels of CO2 in the atmosphere. Although 1°C might not seem like the most alarming figure, in 2016 scientists predicted that if the earth’s temperature rose any more than 2°C, the atmospheric balance would be so out of kilter that human life would become difficult to sustain – we’re already half-way there! Coined in the early 1990s, ‘carbon neutral’ refers to a process that doesn’t add to the net atmospheric increase of harmful emissions (namely CO2). Achieved via a combined effort of carbon offsetting and the use of renewable, emission-free resources, carbon neutrality is an environmental step in the right direction that every business should be taking. Read on for more information on what a carbon-neutral business is and how your start-up can step-up its business game by becoming carbon neutral. What is a carbon-neutral business? Why should small businesses go carbon neutral? Which businesses are already carbon neutral and who is it suited to? What is a carbon neutral business? Requiring more than popping a few strategic recycling bins about the office – in the hope that your staff will take the initiative to separate their paper from their plastic – running a carbon-neutral business entails a whole host of proactive, yet achievable, steps. But, before we get into the nitty gritty, what exactly does running a carbon neutral business mean? Although, going carbon neutral does entail a bit more than simply waving a magic investment wand. It’s best to think about how all aspects of your business can reduce its carbon footprint. Using an environmentally sustainable energy supplier is a good start, but there are many more steps to take on the path to complete carbon neutrality. As far as business is concerned, think balance. If you put CO2 into the atmosphere, then somewhere along the line, you’ll have to balance out the emissions by removing the exact amount of carbon dioxide from the atmosphere as you put into it. This is simpler than you might think. The easy way to counteract your carbon emissions is to invest in an environmental initiative. VEEV, for example, is the first carbon neutral, alcoholic spirit brand and donates 1% of its sales to Rainforest Preservation and environmental causes to balance out its carbon footprint. This is known as carbon offsetting. 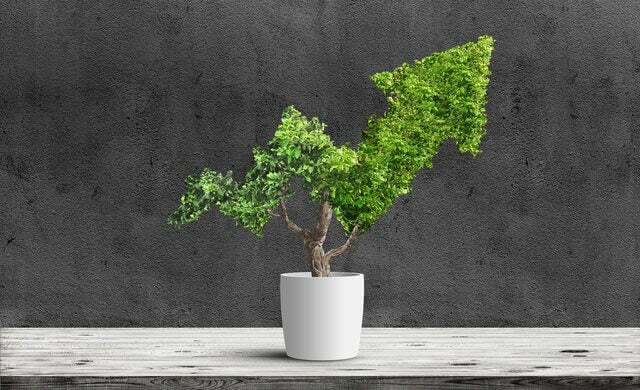 Carbon offsetting is an action that compensates for the carbon dioxide your business emits through participating in schemes, or funding programmes, that remove the equivalent amount of CO2 from the atmosphere. If you’re scratching your head for ideas on where to invest to offset your carbon footprint, we recommend looking into tree planting schemes or rainforest preservation as a good starting point. Or, companies such as EcoAct run a service to help you find the perfect location for your offsetting investment. Why should a small business go carbon neutral? Each year, 40bn tonnes of CO2 is released into the atmosphere – averaging out to a whopping 5.5 tonnes per person? Granted, this might just sound like a few abstract facts and figures, so put it this way: if a day’s worth of CO2 were to form a film over the surface of the earth, the film would be the thickness of a piece of paper (70 microns) by the end of the day. After a year, the film would be 31mm thick, and, after 50 years, the film of CO2 would be the thickness of 1.55m. As CO2 is a gas, it floats off into the atmosphere rather than forming a solid ‘film’ as such, but you get the picture: globally we produce enough CO2 every day to coat our planet with a layer of what is, essentially, a poisonous gas. We’re literally suffocating the planet with our CO2 emissions, so making sure that our impact is as minimal as possible is everyone’s responsibility, business owner or otherwise. And, what with World Earth Day just around the corner (falling on the 22nd April, to be exact), there’s never been a better time to ride the eco business wave. Aside from the clear environmental benefits to carbon neutrality, it comes with some pretty awesome perks as well as reducing the damage inflicted on the planet. Firstly, taking big steps towards improving your business’ energy efficiency levels will save money and the planet. Something as small as implementing a ‘lights off at night’ policy will cut costs and your carbon footprint. For example, corporate giant P&G have reportedly saved $500m through implementing energy efficiency measures alone – with more savings forecast for the future. Back in 2016, 190 of the Fortune 500 companies made a combined saving of close to $3.7bn. How? Through energy efficiency initiatives, that’s how. And, being clean and green isn’t just good for your overheads, it’s great for investment prospects too. Barclays, for example, have noted that bond portfolios featuring clear goals for sustainability have shot those with weak environmental targets right out of the water in the past seven years. Showing that you’re eager to engage with environmental issues will help to engage and inspire staff – motivating your team to pull together in a combined effort to reduce your business’ carbon footprint. Cycle-to-work schemes, work-from-home days and a robust in-office environment policy will all help to show to your staff that you’re a business that cares. For more information on how to run your business more sustainably, be sure to check out the Startups’ suite of pages focussing on green and social business. Not to mention the fact that if you’re building your business, you’re probably recruiting. A recent survey shows that millennials want green jobs, and they want them now. The Department for Business, Energy and Industrial, Strategy (BEIS) found that 65% of 16-24 year olds would prefer a job in the green economy. This equates to around 3.7 million young people who are looking for, or would be interested in, a job with a clear environmental focus. Fresh out of college or university, the millennial talent pool is awash with desirable skills well suited to the fast pace and change-driven attitude of any start-up business. So, if you’re looking to make yourself as attractive as possible to the young millennial professional, you’d better pull your carbon-neutral socks up. It’s not just your current staff that’ll be motivated by your carbon-reduction mission – potential customers and future talent will also be attracted to a greener policy. In fact, research suggests that 55% of consumers are willing to pay higher prices for goods from environmentally conscious companies. Conscious consumerism is taking off in a big way and you really don’t want to be left behind, so get ahead of the curve and reap the financial, moral and social benefits carbon neutrality can offer. How does a small business become carbon neutral? What are the first, most achievable steps to running a carbon neutral business? “First, it’s important to get a baseline calculation to work with. It’s really simple to get your carbon footprint calculated. This will help you to understand your business’ carbon emissions whilst benchmarking you against other organisations. “Next, you offset. It’s a really good opportunity to make a genuine difference in the world, so choose something meaningful to you and your team. Studio Republic offset five tonnes of CO2 by donating to a Ugandan Borehole Rehabilitation project, could you tell us a little more about that? “To offset our carbon footprint, we wanted to choose a scheme that allowed us to make a positive social and environmental contribution – sustainability does, after all, encompass people too. “We chose the Ugandan Borehole Rehabilitation project because the positive impacts of this project are countless. Borehole water is safe and does not need to be boiled, which greatly reduces the need to gather firewood to purify it. This saves firewood and prevents the unnecessary release of carbon emissions. “Also, the borehole rehabilitation and maintenance in Lango sub-region, Uganda, will be the very first programme to implement the new Gender Equality methodology from the Gold Standard. “We chose to offset more carbon than we produced because we wanted to make more of a positive impact. It’s not a necessary step, but if you have the means to do so, we would highly recommend it. From a recruitment perspective, why do you think millennials are more likely to be drawn to businesses with strong sustainable promises? “The statistics show that 73% millennials are willing to spend more on sustainable products, and this mentality spreads into recruitment too. Since refocusing our business back in 2017, online job applications have quadrupled and all of our applicants have expressed a passion to work with an ethical and sustainable business. “So much so, that three quarters of millennials are willing to take a pay cut to work for a socially responsible company, the same amount consider a company’s social and environmental commitments when deciding who to work for, and 64% of millennials won’t take a job if their potential employer doesn’t have strong corporate social responsibility practices. “It’s clear throughout our brand, our business plan and our company mission, that sustainability is at the heart of everything we do and this has had a massive impact on our recruitment process. Spearheading the carbon neutral business movement are some big names in the business world. 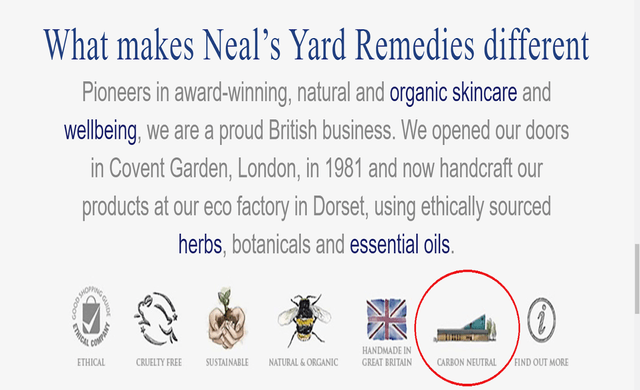 The likes of Google, Neal’s Yard and Avis are all touting the carbon neutral flag – signposting a strong awareness of the environmental impact they have, with a view to reducing the impact as much as possible. Even 007 is getting up on the carbon neutral hype as James Bond, otherwise known as Daniel Craig, will be zipping around in Aston Martin’s latest zero emissions vehicle, the Rapide E, in the next Bond movie (now due for release in 2020). And – as of March 14th 2019 – new kid on the energy provider block, Bulb, has become completely carbon neutral. Already supplying, and powered by, 100% green energy – Bulb are now offsetting the 90% non-renewable gas they supply by supporting ClimateCare. ClimateCare is a B-Corp that facilitate carbon reduction projects across the globe, including the building of solar and wind farms in Asia, as well as developing rainforest protection schemes in Africa. With companies both big and small taking the plunge into carbon neutrality, it’s clear that carbon neutral is a badge of honour that any business can wear. But, it’s all very well and good going to all lengths to become carbon neutral, but how do you let you let the world know that you’re trying to save it, once you’re a carbon neutral company? Is going carbon neutral going to cost the earth? If your business continues to pump CO2 into the atmosphere, then yes, the earth will suffer. But metaphor play aside, the only costs incurred when your business goes carbon neutral are whatever you have to spend to offset any emissions. Otherwise, lowering your carbon footprint will have a positive impact on your business’ bank balance. Saving on energy costs is the big business budget tip. Other carbon and cost cutting tricks come in more nuanced forms. For example, if your business has a fleet of vehicles, vehicle tracking devices are a great way to improve routes, cut travel times, save on fuel costs and, ultimately, cut down on carbon emissions. Read the Startups section on business vehicle tracking for more information on how to cut carbon and costs, even in your company car. A certified B Corporation (B-Corp) is a business that overperforms in terms of positive social and environmental impact. Transparency, accountability and performance are the three key attributes of a B-Corp and, as a whole, B-Corps are helping to shoulder the social burdens of 21st century life. This is including, but not exclusive to, lessening the environmental impact of the business world. In theory, a carbon neutral company doesn’t produce any carbon emissions. Modern infrastructure, however, makes it nigh-on impossible to run an operation that doesn’t produce any carbon at all. So, for those unavoidable carbon emissions, a business can choose to offset the levels of CO2 it’s responsible for. Offsetting comes in the form of investment in other companies, programmes or schemes that have a carbon negative impact on the planet and actively seek to reduce the levels of CO2 in the earth’s atmosphere. There are some big movers and shakers in the business world taking on the carbon neutral challenge. Search-engine giant Google is even doing its bit for the planet, and it’s high time we all did the same. It’s simple: reduce the amount of carbon you already use, then offset the remainder.